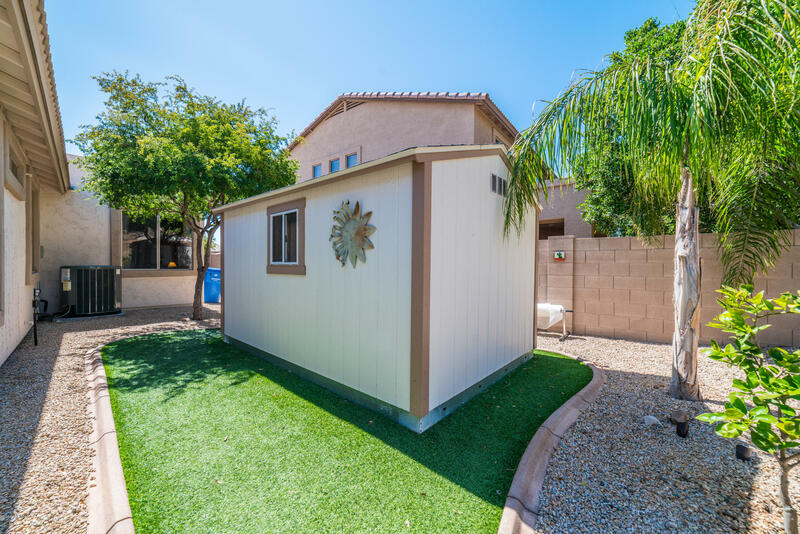 Quaint side yard with shed for Storage or create your own space. 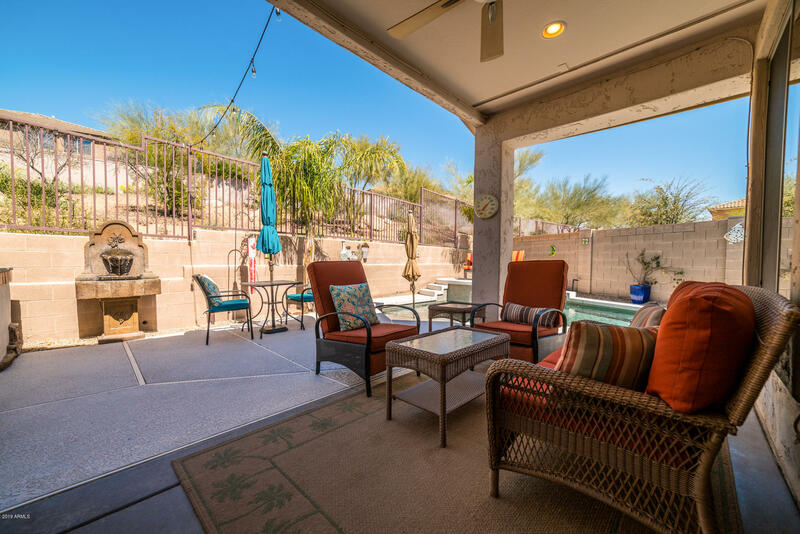 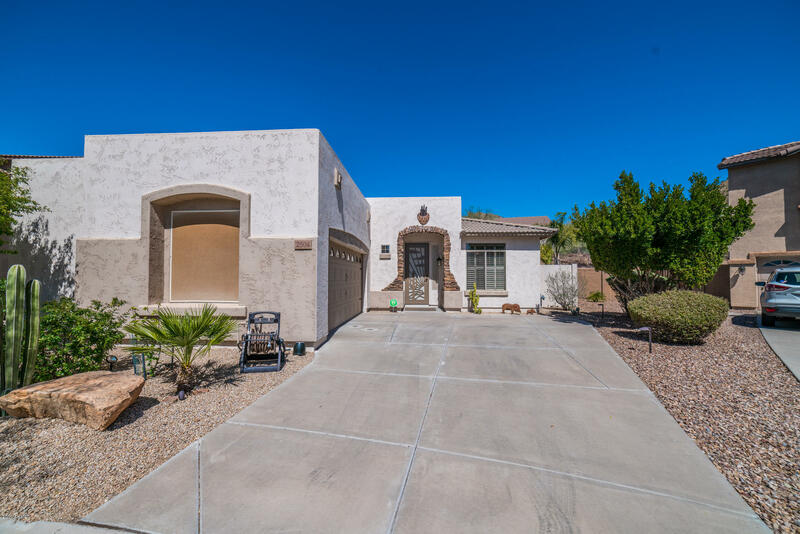 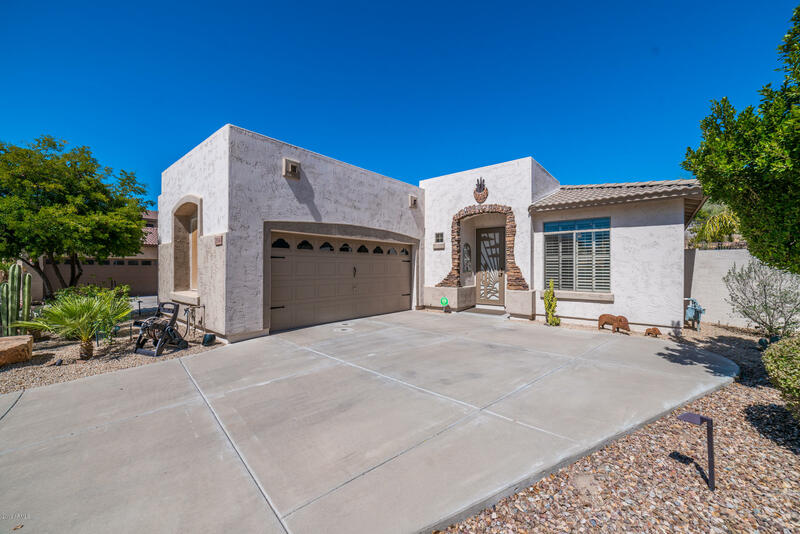 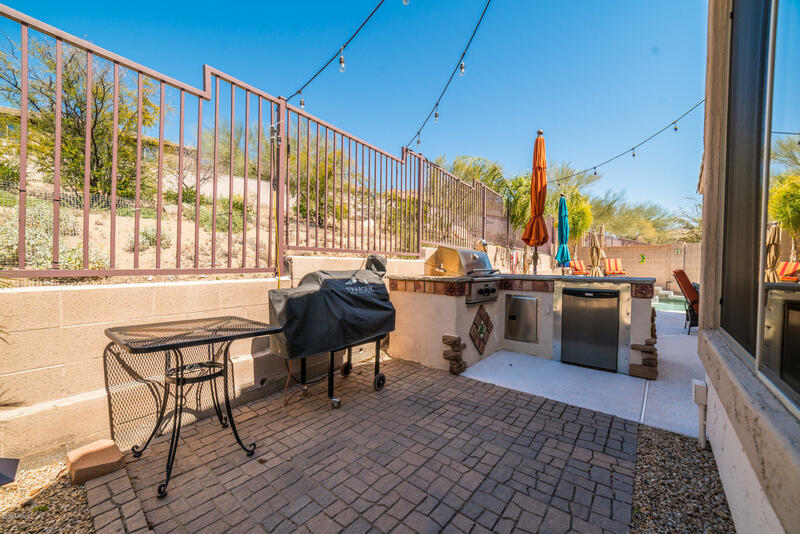 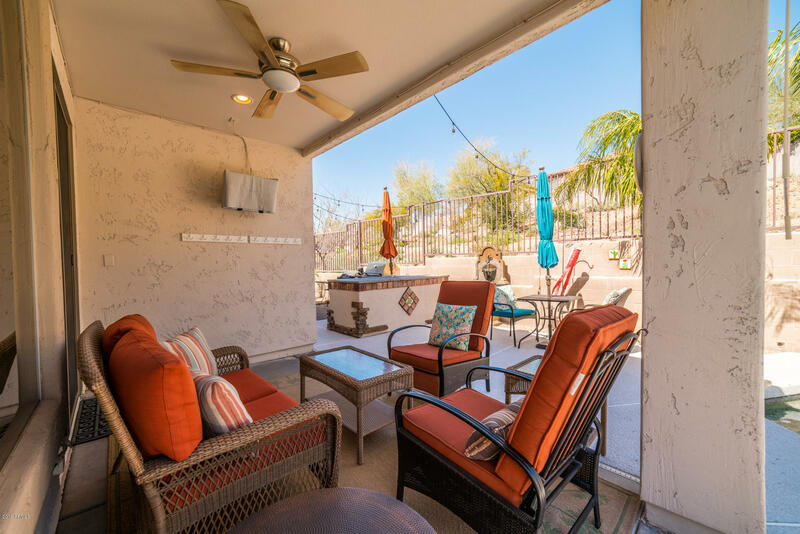 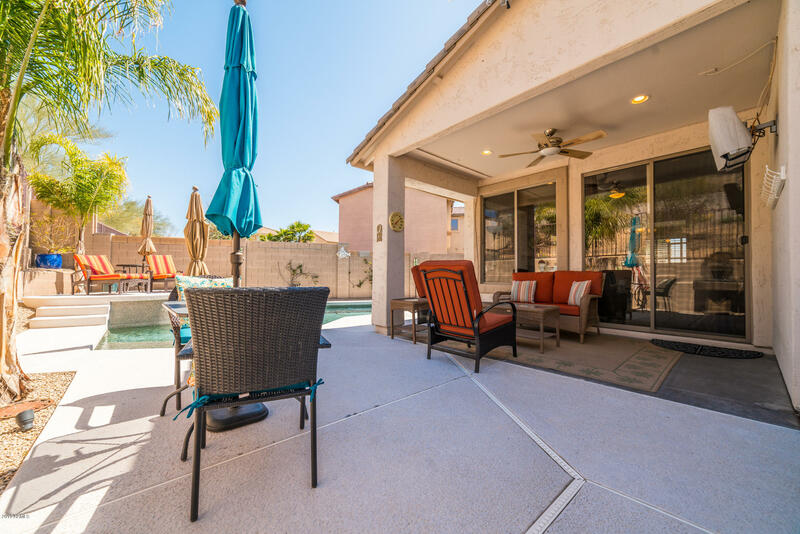 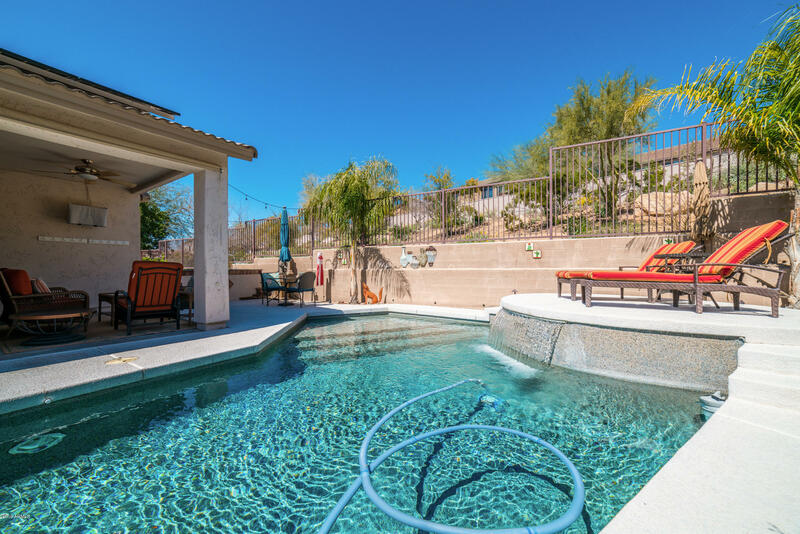 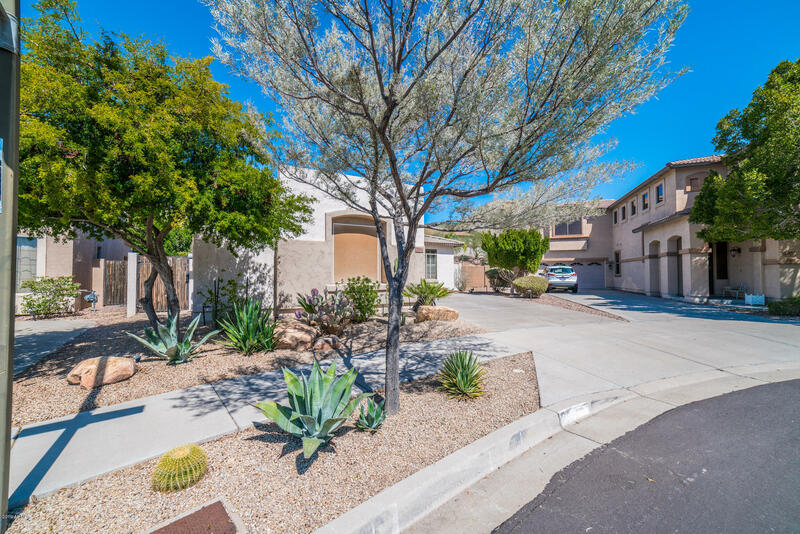 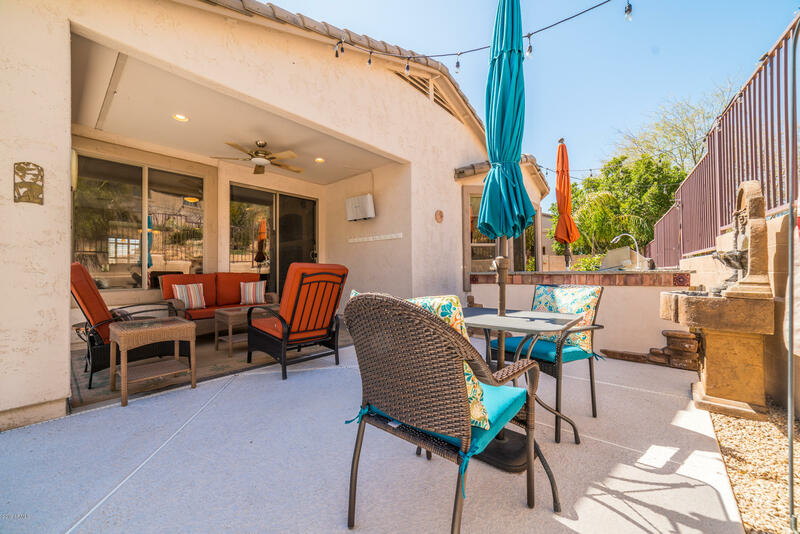 Mounted Outdoor TV and seating area make your home paradise found, all with stunning mountain views and fully fenced yard backing to community open space. 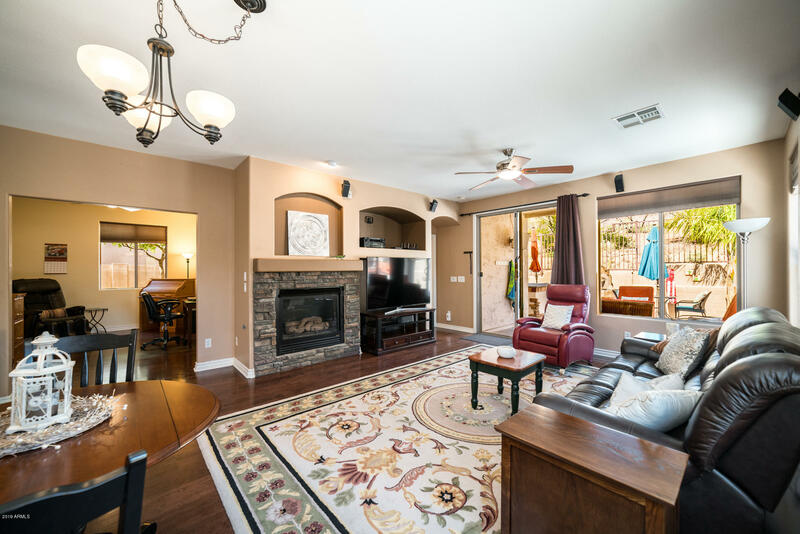 Every detail of this entertainment space has been completed, just move in and start to enjoy the good life. 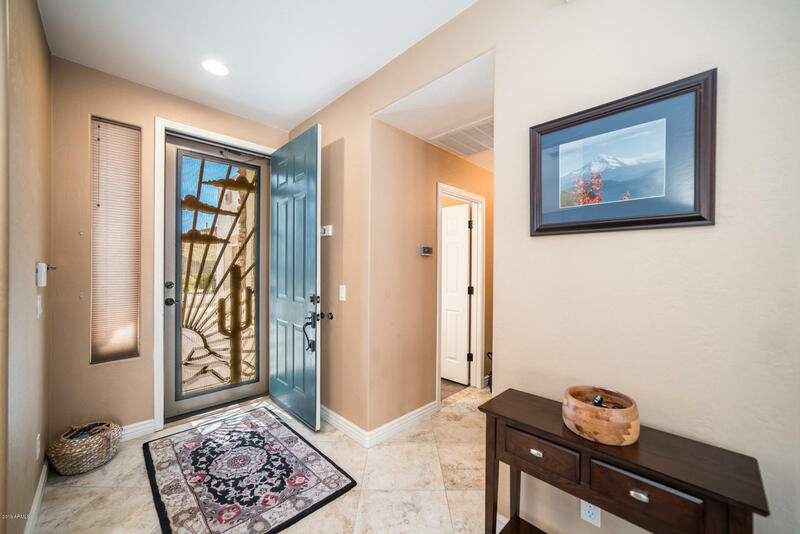 This Split Floor plan allows for quests to have a private space. 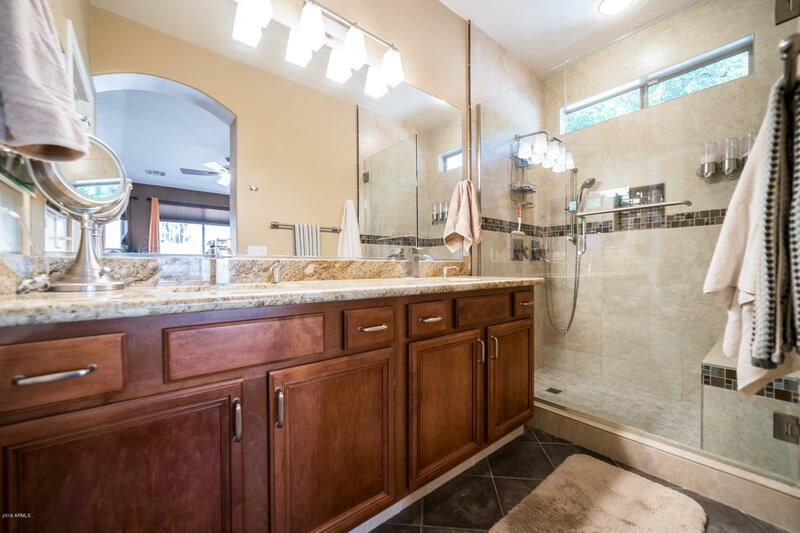 Guest bath room with upgraded Tile is nicely appointed. 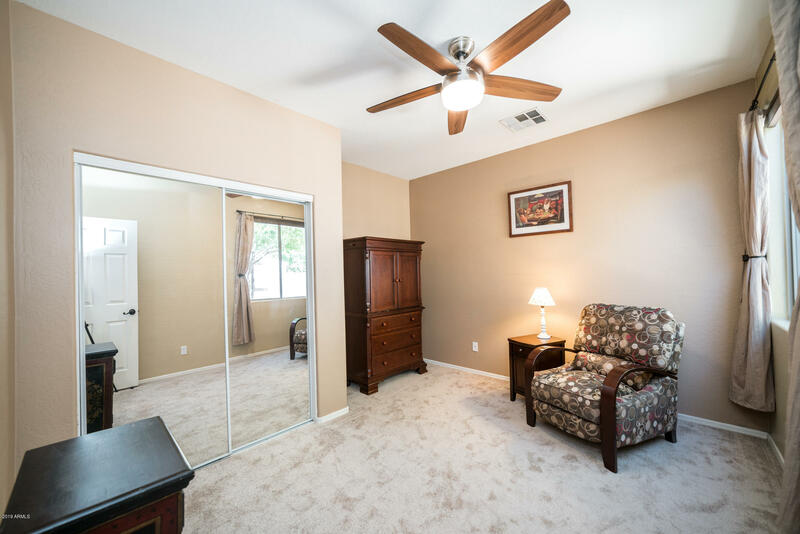 Guest Bedroom with Ceiling fan and Closet. 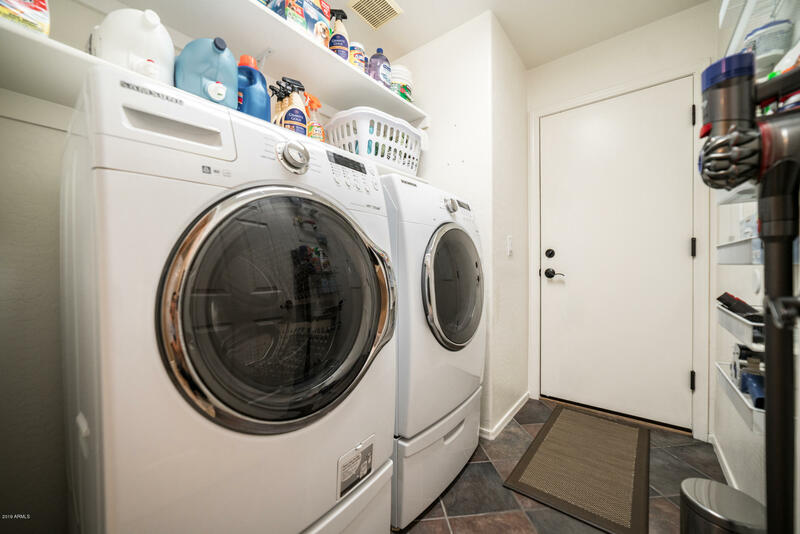 Separate utility room with Washer and Dryer. 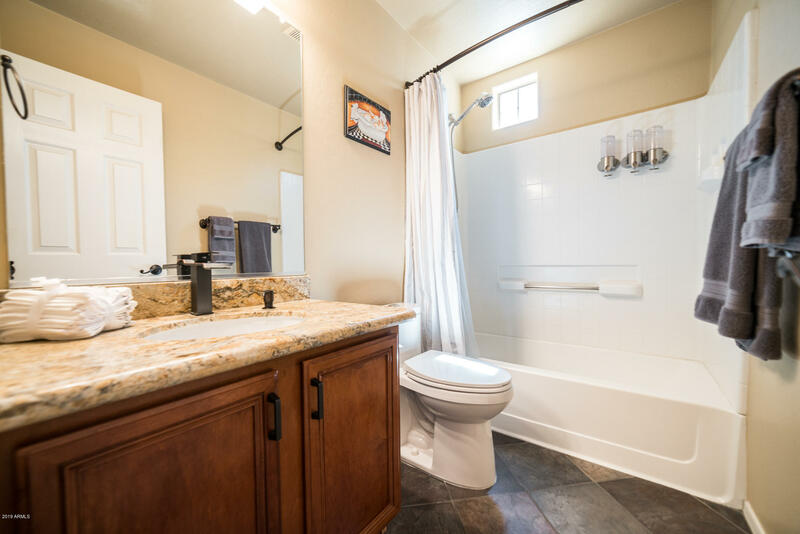 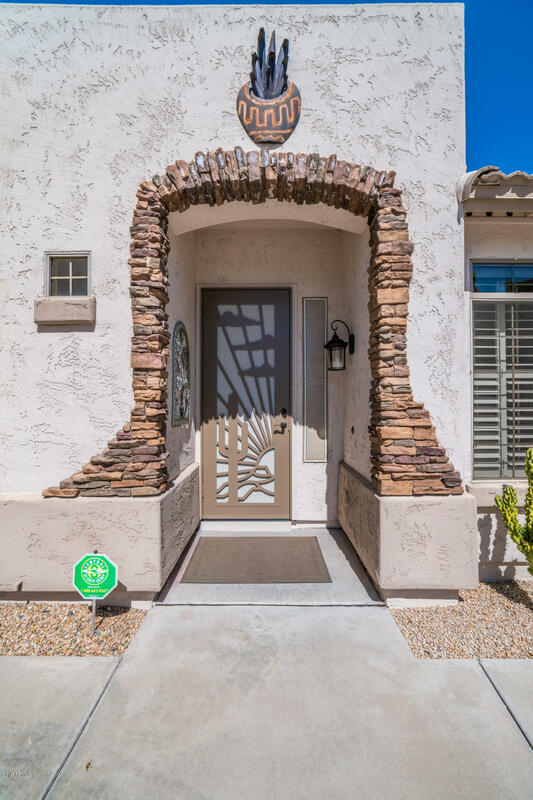 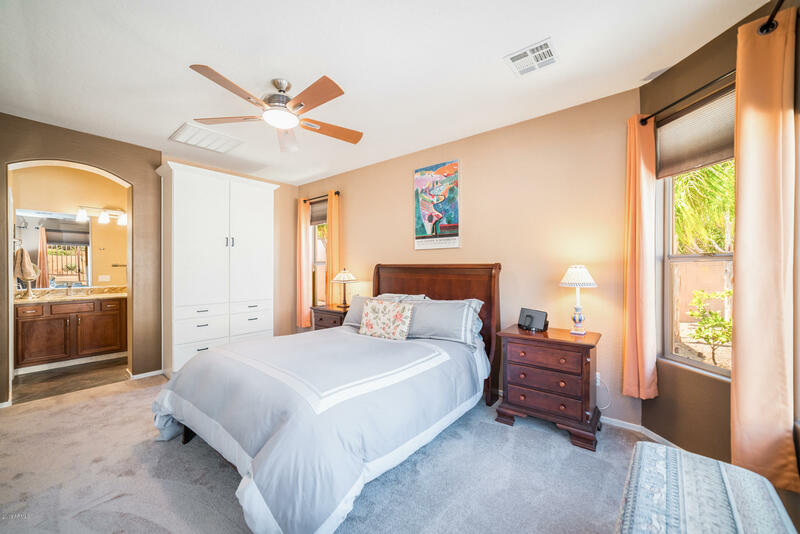 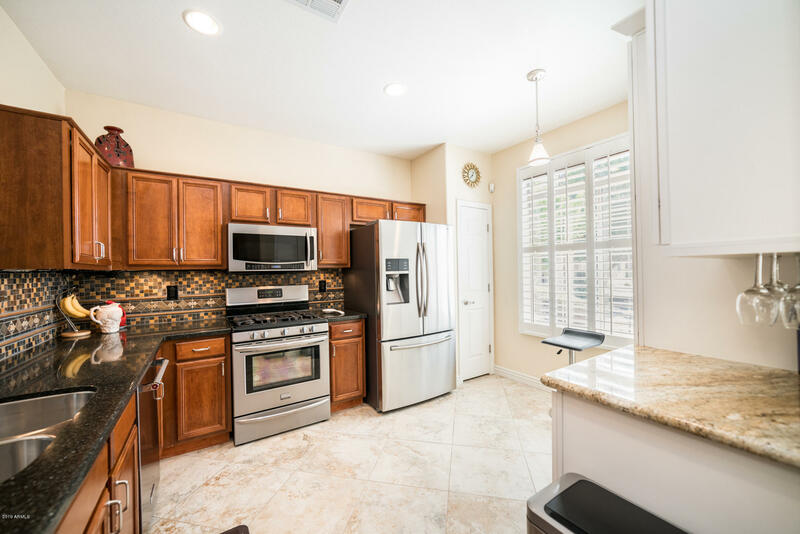 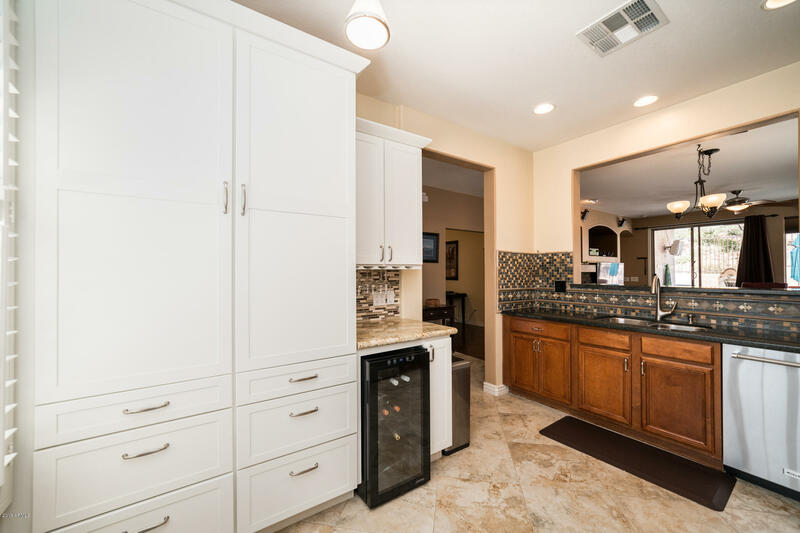 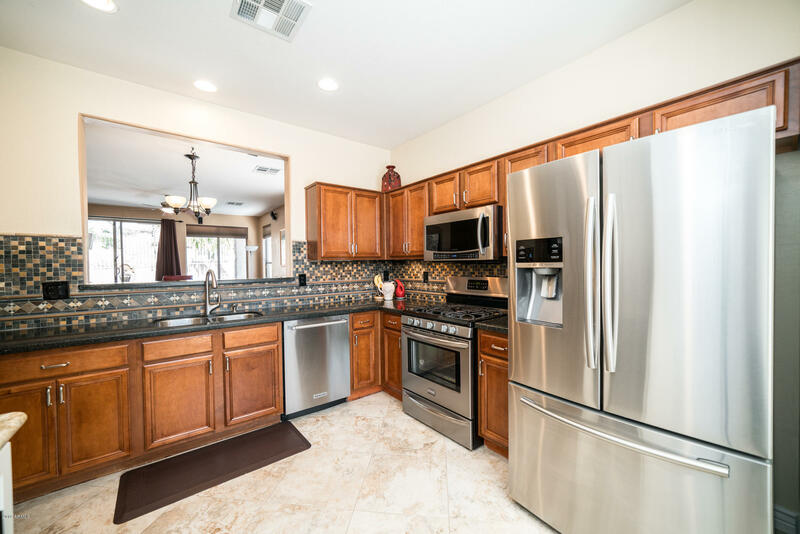 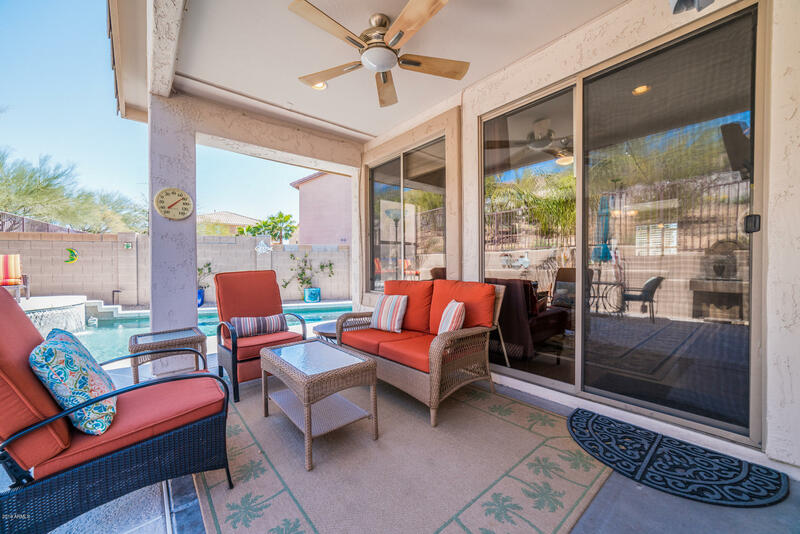 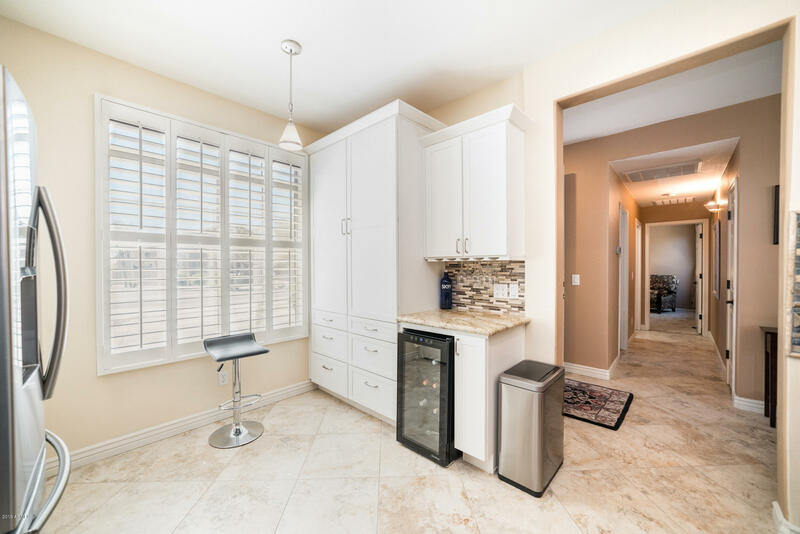 The master bedroom is light and bright with Walk-in Closet and built-in Wardrobe, Attached master bath attractively Upgraded Tile, Granite, Fixtures like a fine hotel. 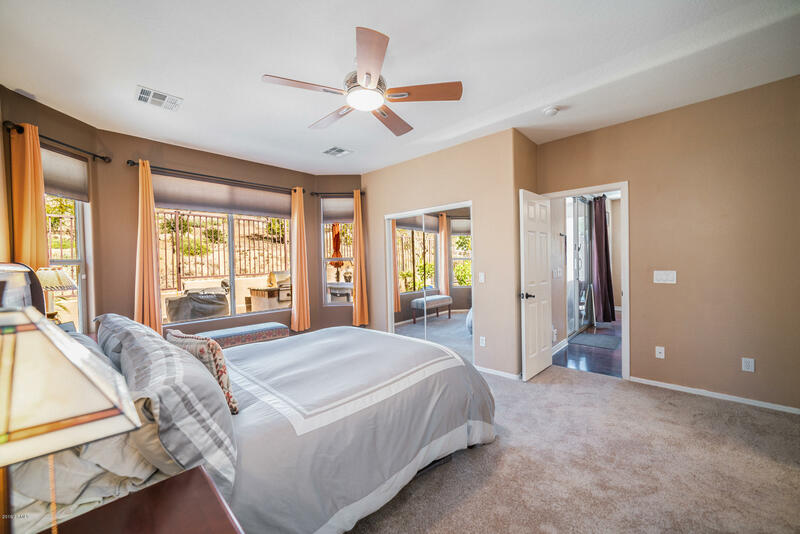 A wonderful and comfortable living experience. 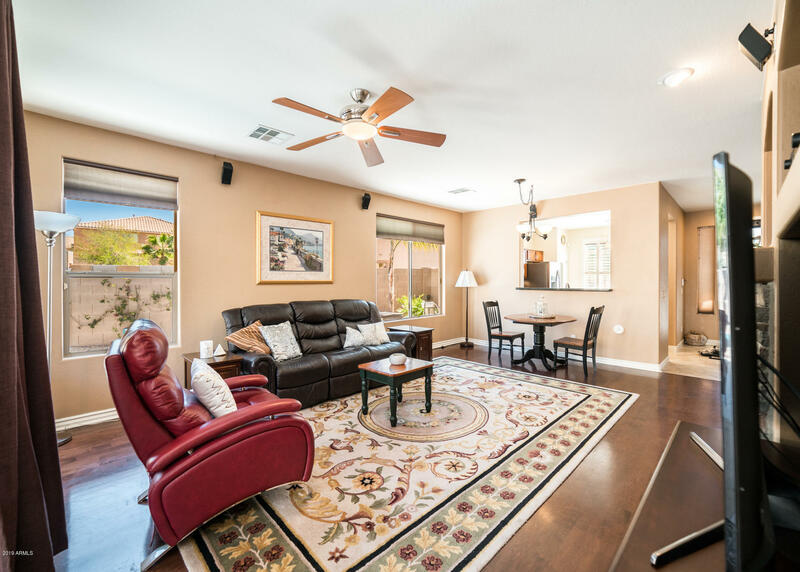 The bonus room can be 3rd bedroom, formal dining, or Office space and is open to the great room. 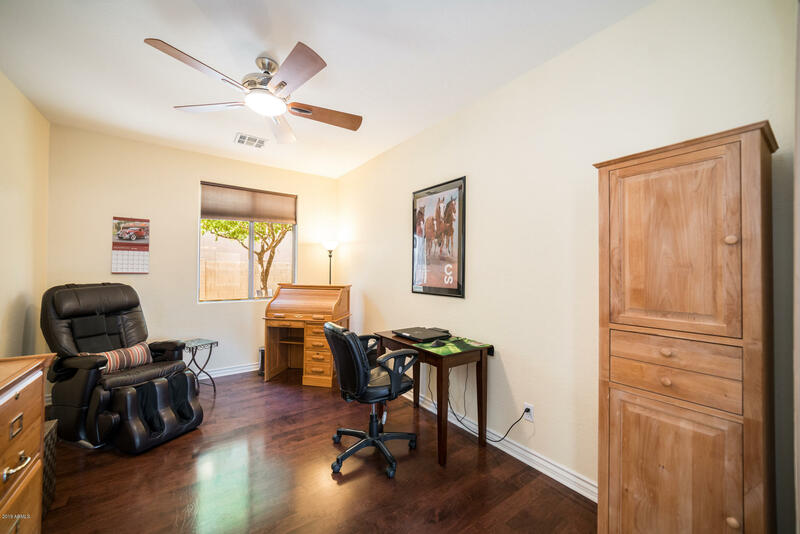 This expanded space may be used to match your lifestyle. 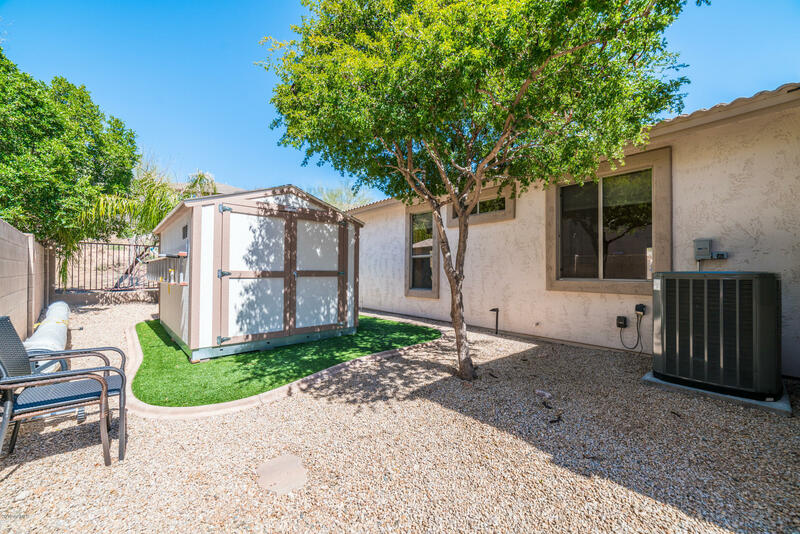 Attached Double garage, Energy efficient Solar, All new Furnace & thermostat, new A/C, programmable Drip System, Security System are just a few of the added bonuses. 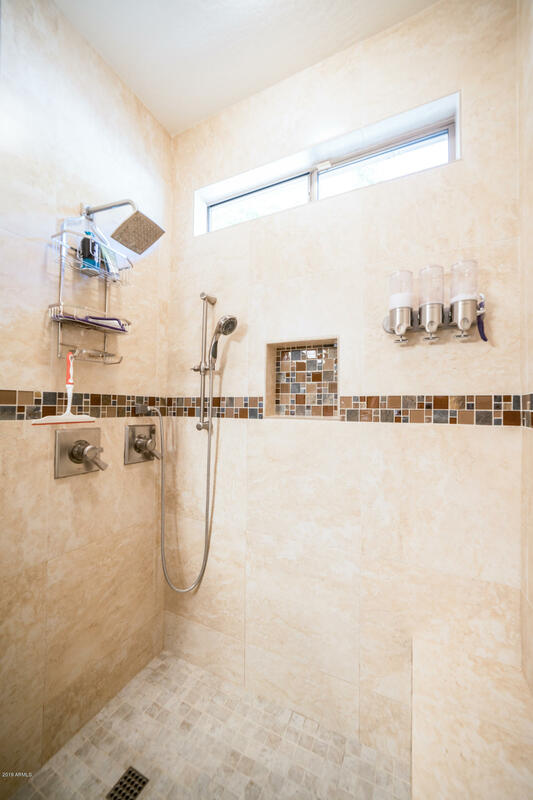 This must see home will be a pleasurable & truly on of a Kind Living Experience and Urban Oasis. 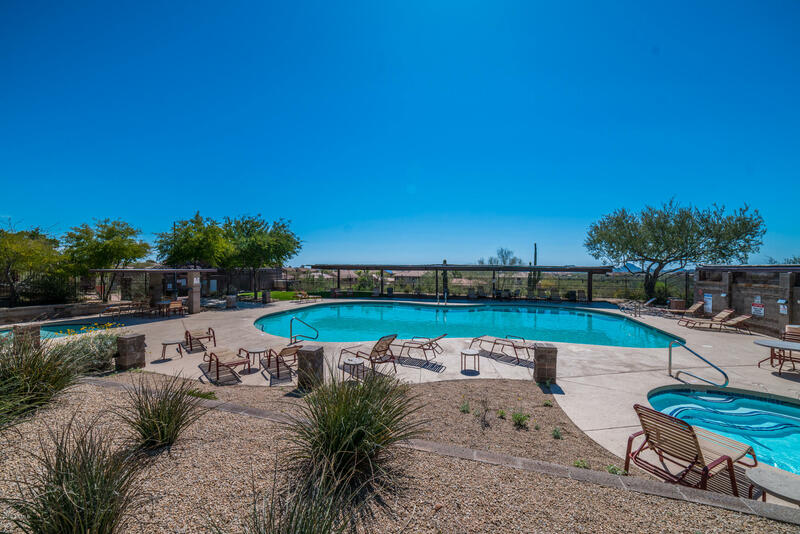 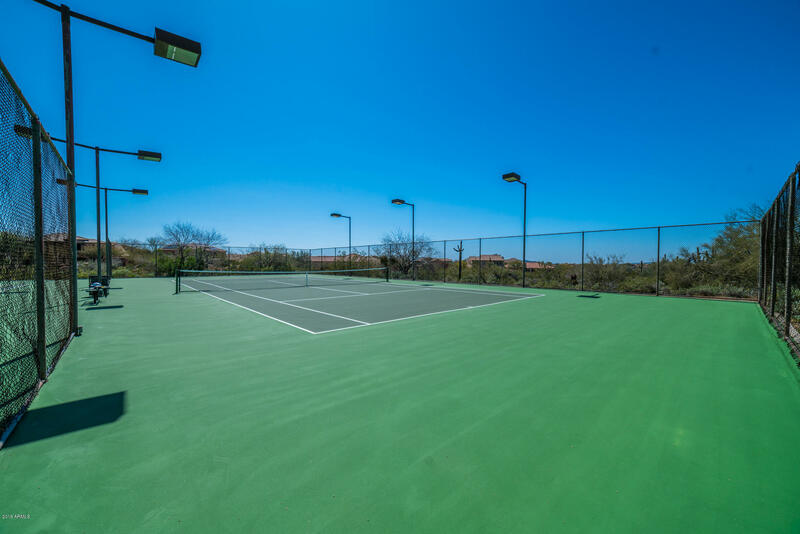 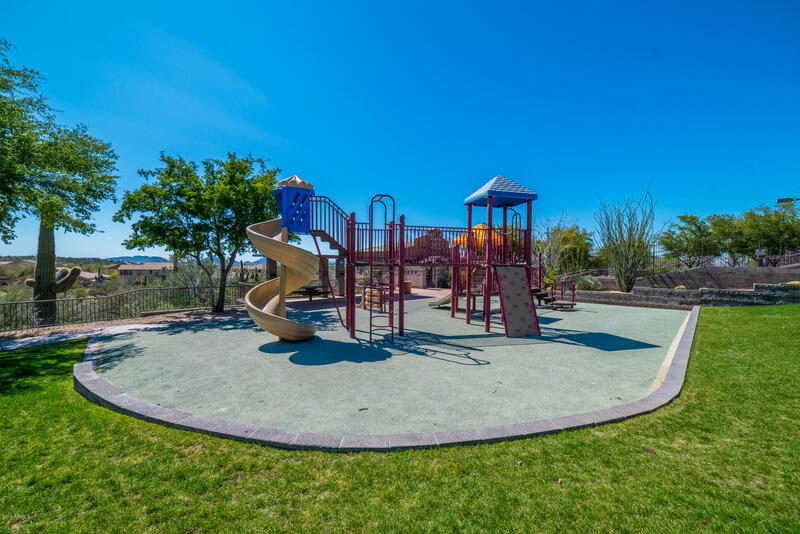 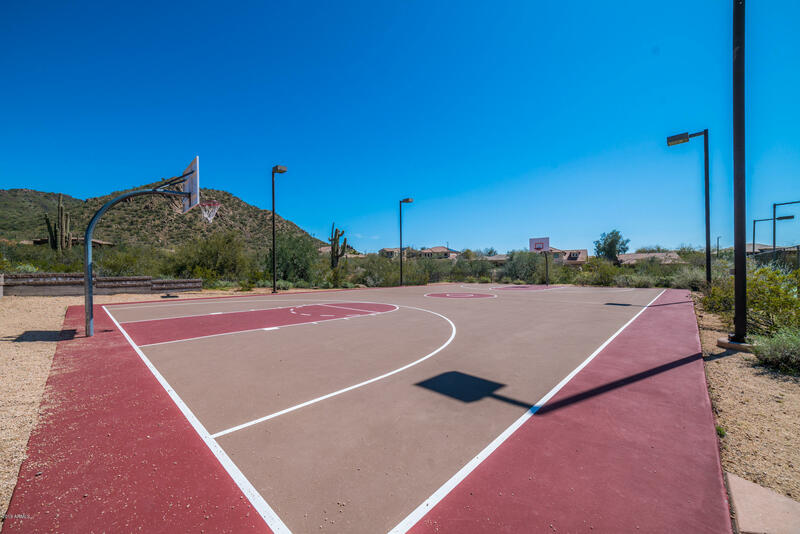 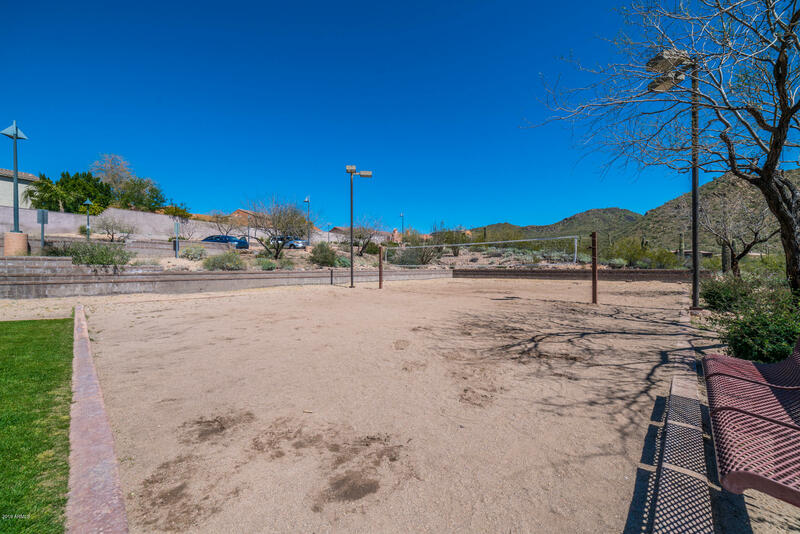 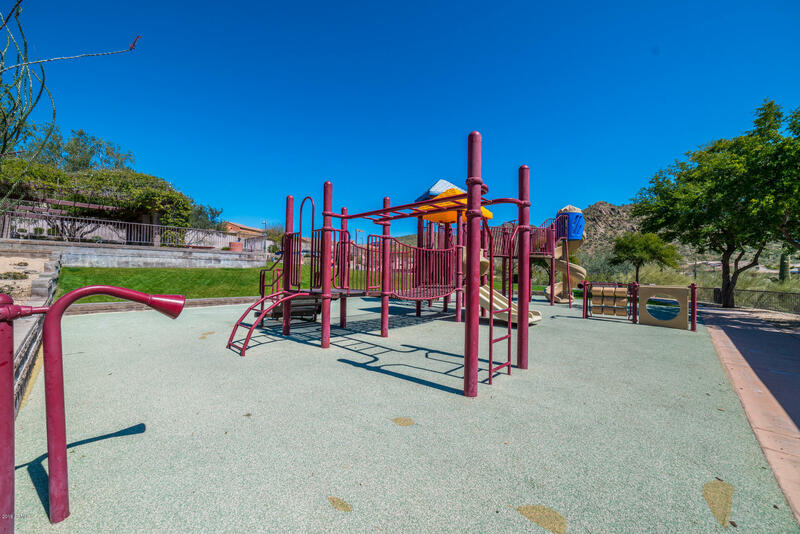 The community amenities include, pools, tennis, volleyball, walking trails and more. 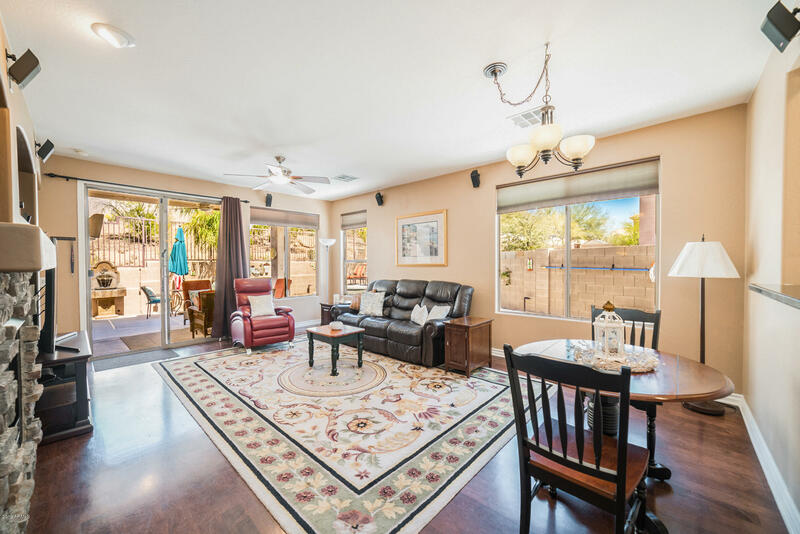 The shopping and dining are all nearby with great freeway access and direct access to carefree hwy. 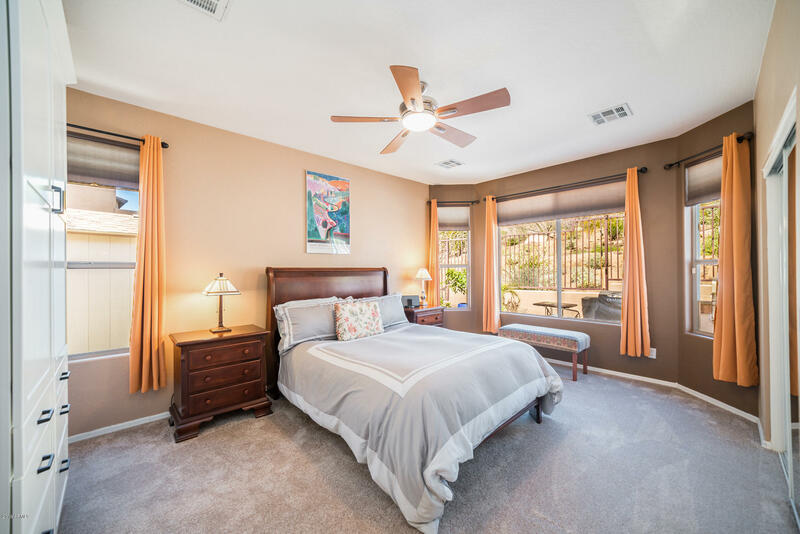 Come home to quality living, we hope to see you soon.